Designed for mounting to DIN rail. 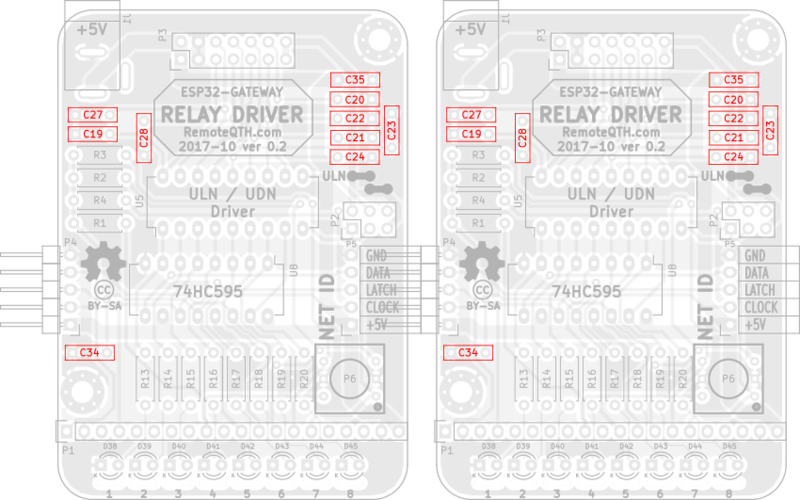 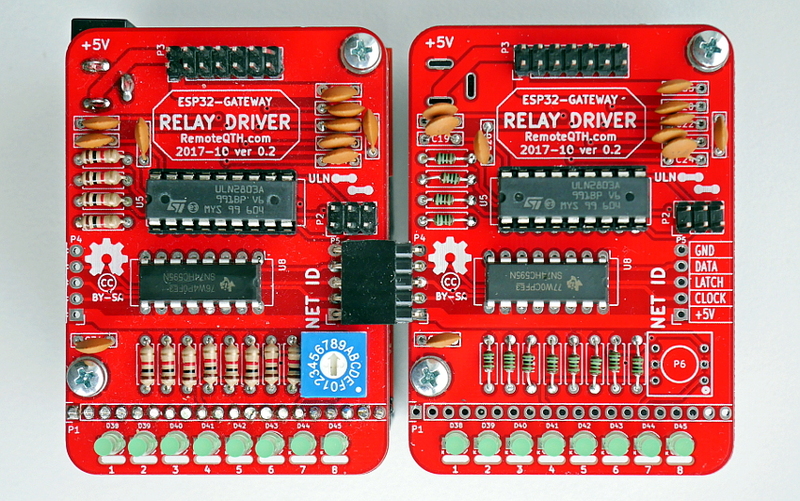 Board serve as relay driver depenancy to used open collector/emmiter output chip. 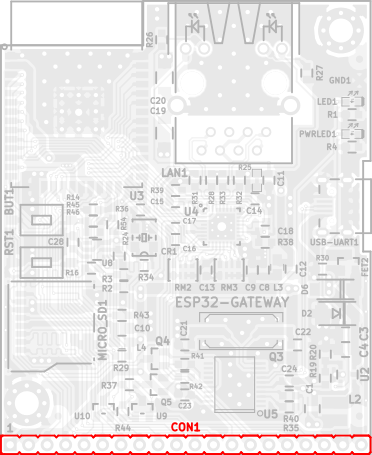 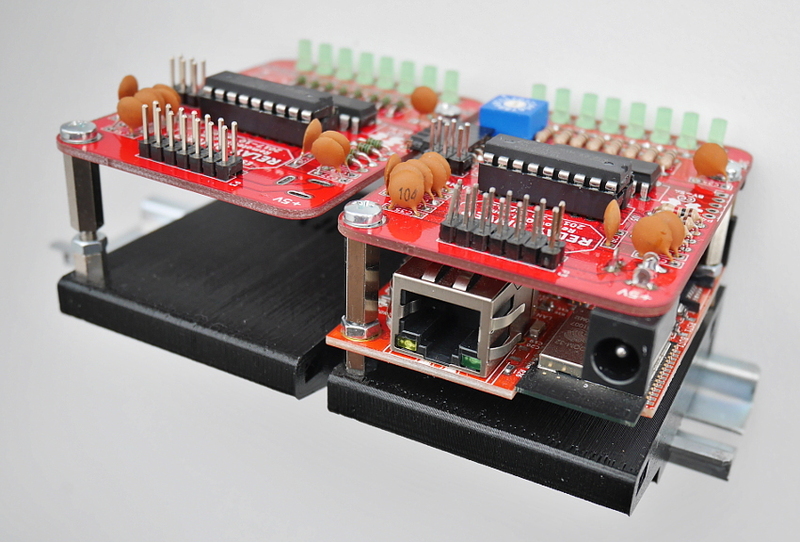 This kit worked with ESP32-GATEWAY Ethernet/WiFi module from OLIMEX. Below step by step assembled manual for 16 outputs (two boards), may be expandable. 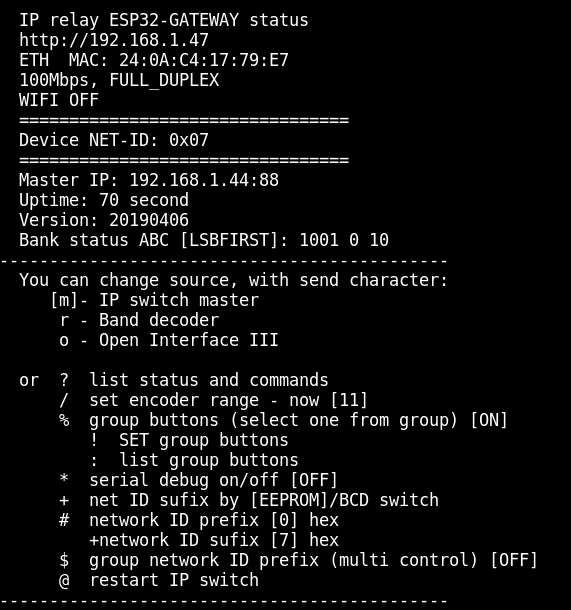 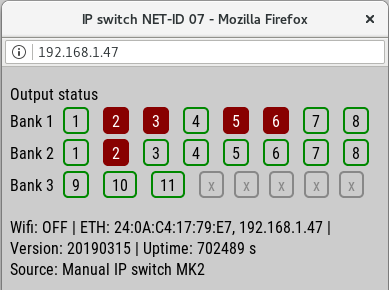 How IP addres got the device from the DHCP server? ⚠ 5 volt DC only - higher voltage damage both electronics! Download and install ESP32 support for arduino from GitHub - prefered via board manager. Setup are available via CLI (command line interface). set baudrate to 115200 and No line ending. 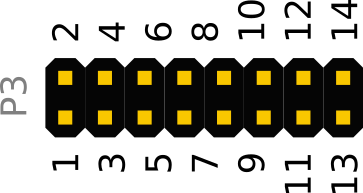 CLI contains some commands for set or show information.